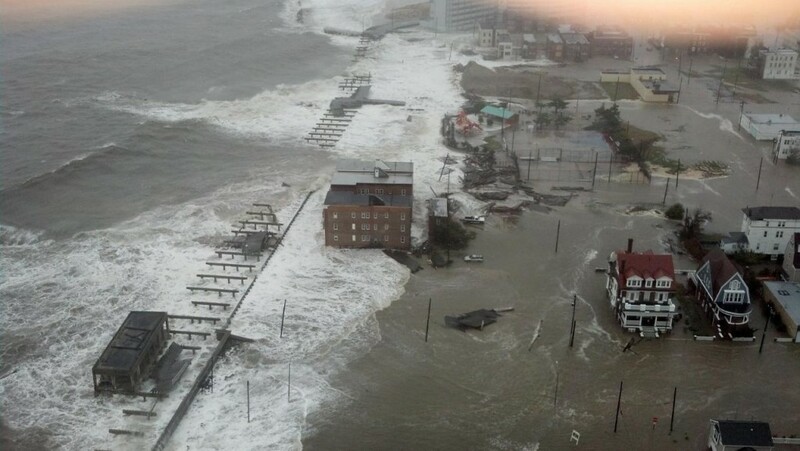 The Boardwalk in Atlantic City, New Jersey, as viewed on the afternoon of October 29, 2012 just prior to landfall of Hurricane Sandy. 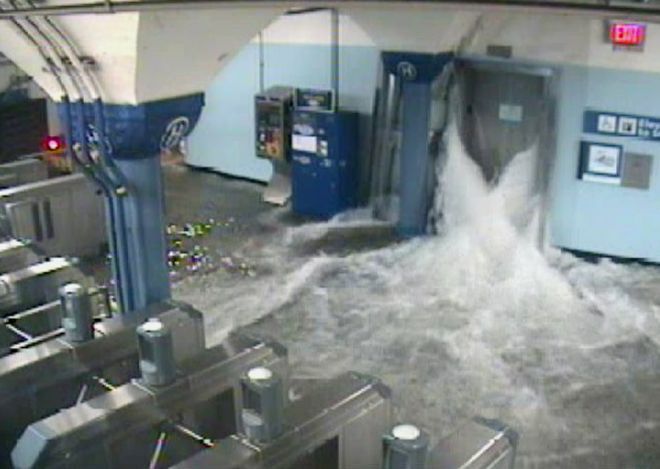 Surveillance video showed water flooding into the underground PATH train in New Jersey on the evening of October 29, 2012 as Hurricane Sandy washed ashore. 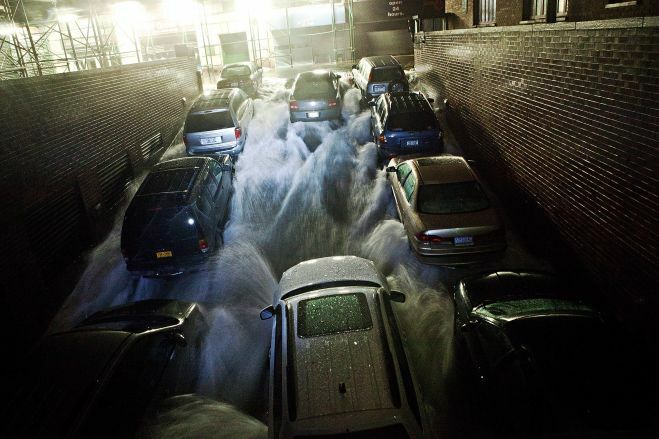 Floodwaters cascaded into an underground parking garage in New York City on the evening of October 29, 2012 as Hurricane Sandy came ashore. 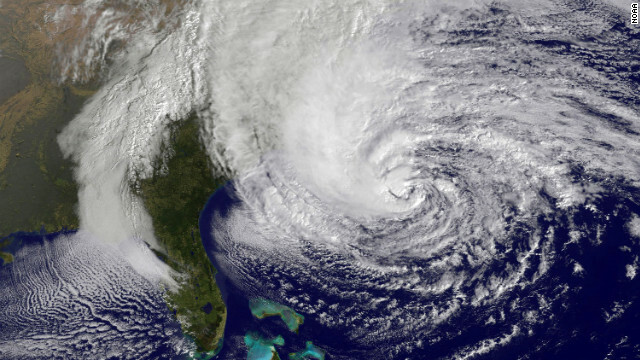 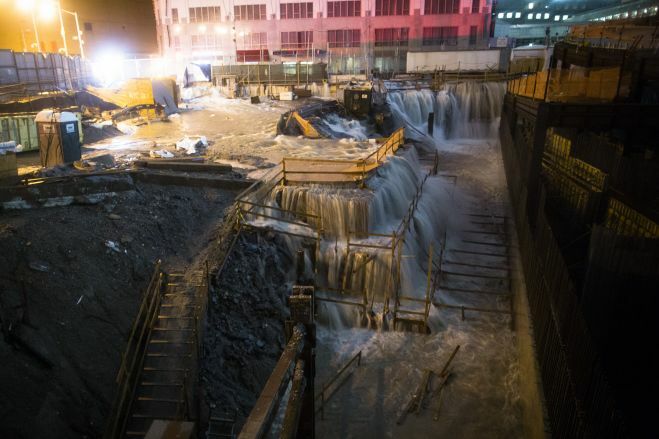 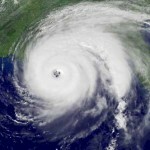 Ground Zero – the former site of the World Trade Center in New York City, was inudated with rising floodwaters from Hurricane Sandy on the evening of October 29, 2012. 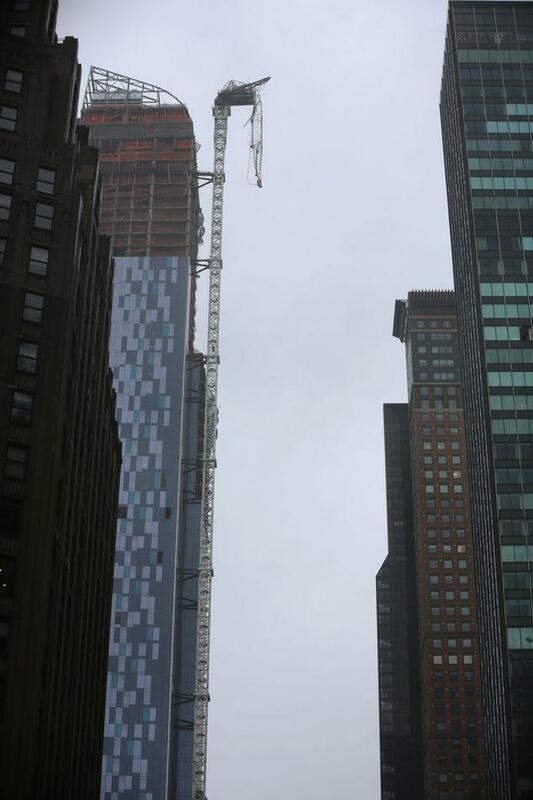 A crane atop what will soon be New York City’s tallest residential building, after suffering crippling damage from Hurricane Sandy on October 29, 2012. 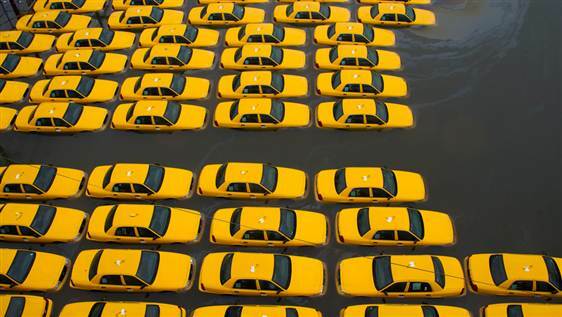 Taxis were swamped by floodwaters from Hurricane Sandy in a New York City parking lot on October 30, 2012.